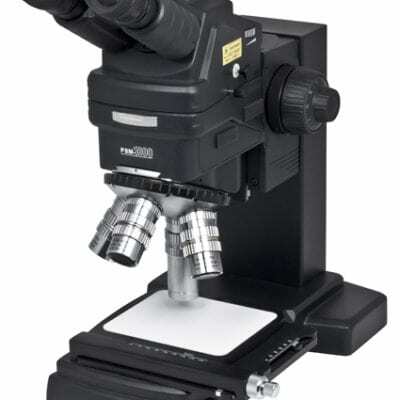 Motic PSM-1000 is a modular microscope system used for applications in the semiconductor industry. Also for laser inspections and repairs. 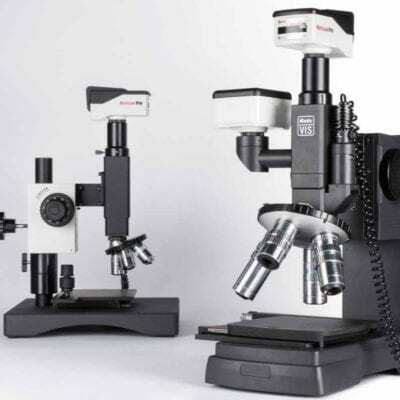 Or simply for applications where high quality optics, precision mechanics and Long Working Distances (LWD Objectives) are essential with an upright microscope image. 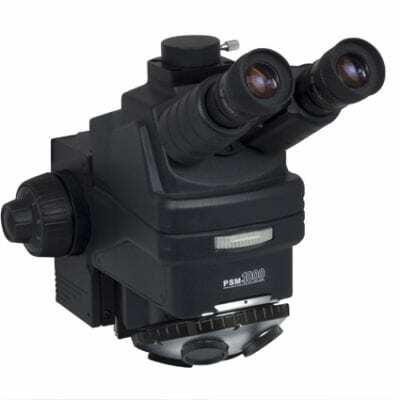 PSM-1000 incorporates a 3-lens change-over turret. This feature allows the user to easily switch from visual inspection to laser work. The following optical lenses 1X UV/, 1X IR/VIS and 2X Bright field. Covering the spectrum from 355nm to 1064nm. 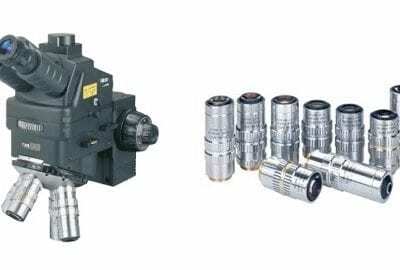 All optical components have a special coating for maximum transmission.